Dr. Woerly works on the principle of recreating the chemical and physical structure resembling more closely the brain of the human embryo. Because it is the brain of the embryo, which while developing, gives life to the body. The cellsorganize themselves to create all different organs. 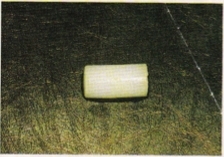 Hydrogel, created by Dr. Woerly, is a flexible cylinder, ultra microporous, consisting of 96% water and composed of parallel channels. If it could be spread out, one gram of this product would cover an area of ​​approximately 500 m2. It is bio adhesive: when it is set down it adheres to both ends of the lesion. It’s quickly irrigated by blood during surgery. It possesses the elasticity and the flexibility that allow it to adapt to the passage of nerve circuits and the development of cells. Its chemical composition does not allow it to be rejected by the body and does not present a cancer-inducing risk. 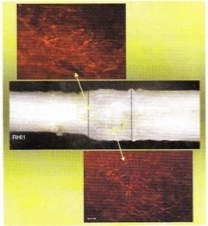 Neurogel acts as a growth matrix that allows the re-growth of nervous system cells by guiding the connection of nerve fibres. In fact, the nerve fibres find an embryonic-like environment where naturally occurring cells rebuild. Neurogel has also the advantage of being haemostatic, i.e. limiting bleeding, the essential property for purposes of surgery, when we know that medullar bleeding actively favors the formation of fibrous scar. Finally, Neurogel is synthetic and can not carry infectious diseases, the risk always possible with techniques using living products.